2. Mix butter, 1/2 cup powdered sugar and the vanilla in large bowl. Stir in KAMUT® flour, nuts, and salt until dough holds together. Add a few drops of water if needed for dough to hold together. 3. Shape dough into 1-inch balls. Place about 1 inch apart on ungreased cookie sheet. 4. Bake 10 to 12 minutes or until set but not brown. Remove from cookie sheet. Cool slightly on wire rack. 5. 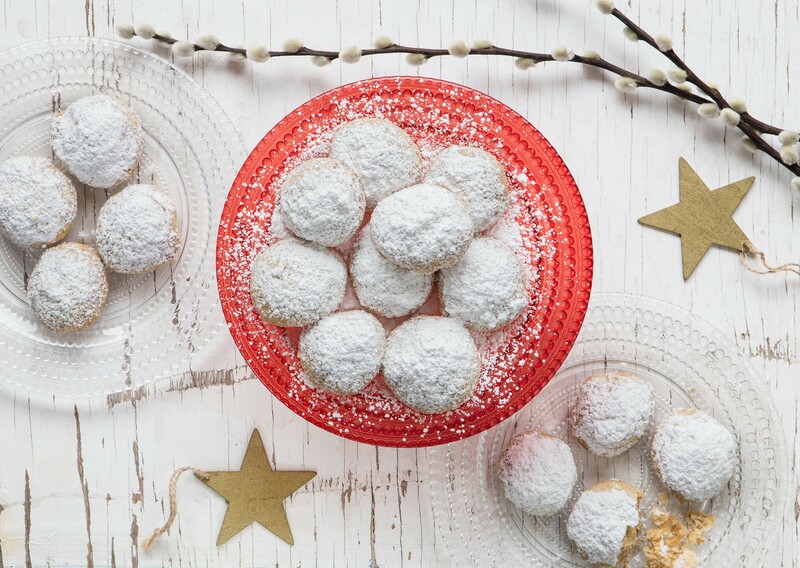 Roll warm cookies in powdered sugar; cool on wire rack. Roll in powdered sugar again. A minimum of 3 characters is required.